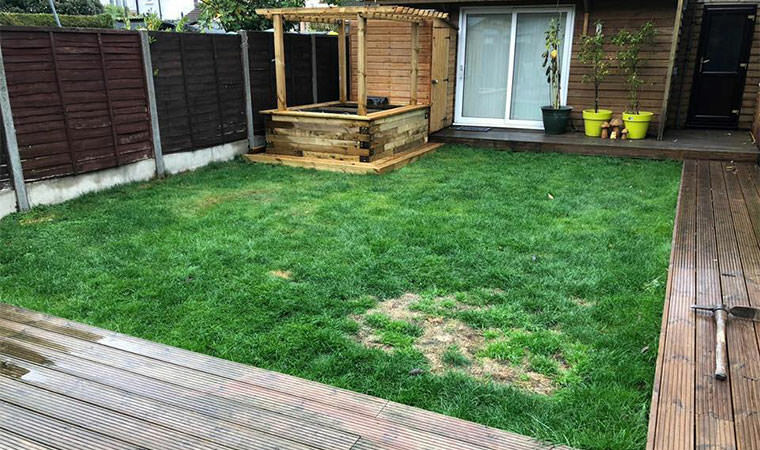 Just look how much bigger this back garden in Rainham, Essex looks after we have worked our magic! 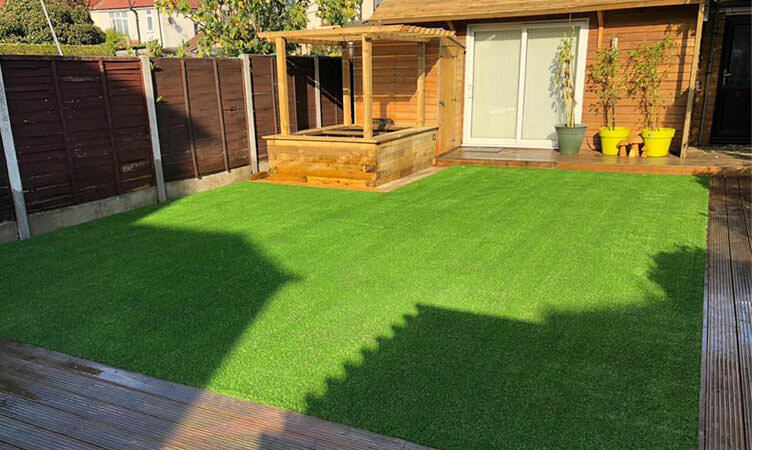 Our recommendation for this back garden lawn was to take out the lips of the deck to make the area look bigger. 9 tonnes of aggregates later and with timber fixings placed around the entire perimeter we were able to fit the Outfield grass. Wow did this make a difference!